uc browser version 3 released for wp with lot of improvements. 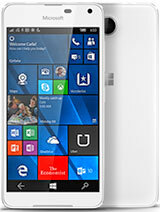 lumia fans, 25 May 2013hey guys,i had an question in mind between L820&L720.1GB compare with 512MB,which 1 will b... moreMy suggestion is u can buy 820 1gb ram is greater perfomance.more games on stores like temple run,,and other aplications..
Can we install Android 4.2 in this phone??? Today had an online chat with MS support for fb chat not working in messaging hub..what he told me was the same method already done..removing the fb from ms account in managing account..removed the fb from my mobile.."restarted the phone" then linked the fb with my ms account..added account on mobile and wooofff...my wish came true..
FB Chat started showing people online in messaging hub..
ivincent, 24 May 2013if only this phone can run Andriodthen what..will that take u to the moon..
ks20_best, 23 May 20131) no data counter 2) Unable to play .mkv files, and does not support subtitles, neither any ... more1) no data counter -> datasense is present. 2) Unable to play .mkv files, and does not support subtitles, neither any video player app available. -> YXPlayer is available. 3) Music player does not allow playlist creation -> It does allow. 4) File manager not et al available. -> File manager and such ancient features will NEVER be available. 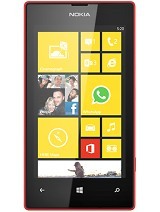 Im excited to switch with wp8, i have played my brothers lumia. it is really great. I have android ics now. it is really a waste of time configuring how to fix some big. i already flash like 3 firmware. but the problem is still there. 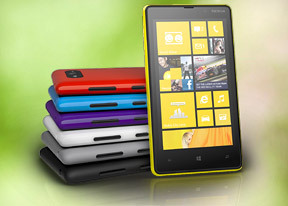 AnonD-65488, 23 May 2013Yes we will get new update its name is amber..on this July.amber is not the WP8 OS update to next level..it is update from Nokia for lumia series..
Amber update will wake up the FM Radio Sleeping in Lumia phones and also the Smart Camera App..
M waiting really for the Smart Camera App..
next level OS will be updated by MS only..named Blue..its a update for both Windows 8 and Windows Phone 8..
both nokia and ms are going to update the os..but the updates from nokia will only be available for lumia series device..
d m, 23 May 2013will it get w9 update?wp9?!?! Whats that? d m, 23 May 2013will it get w9 update?Yes we will get new update its name is amber..on this July.